Prepare to Play! : Hi There! 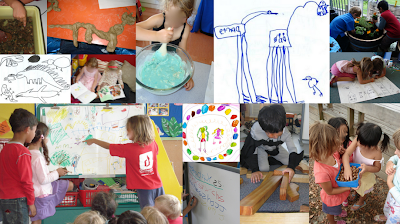 Welcome to my brand spanking, all shiny and new blog where I will endeavour to share and reflect upon my experiences, teaching young children aged 4 to 6 years. I am a passionate believer in the Reggio philosophy of education and have, over the years, incorporated elements of this approach (particularly documentation and project work stemming from the children's interests) into my own teaching practice. I wholeheartedly believe in the importance of play and engaging children in playful learning experiences that deepen their understanding of their world, build upon their interests and acknowledge that they are powerful people with infinite potential. This year (after many years teaching in the UK and New Zealand) I have returned to my homeland and I am now teaching a prep class in Queensland, Australia. I aim to strike a happy balance between play and the explicit teaching of literacy and numeracy skills and I hope that you join me in my journey and share your own experiences and ideas along the way!